From August 2018 you can recycle more in your blue-lidded bins. Please see the link for more details. If you find that your blue-lidded bin is already regularly full, it might be worth checking that you have your full household entitlement to bins. Each household is entitled to up to 2nr 240 litre blue-lidded bins. You can order new bins here. Order your replacement/additional bin now to be prepared for the changes! Please find attached and below important information regarding Summer Solstice 2018 at Stonehenge. English Heritage is pleased to welcome people to Stonehenge to celebrate Summer Solstice once again. Over the years we have seen a huge increase in the numbers of people and cars coming to the World Heritage Site at Summer Solstice, and last year we introduced two changes to protect Stonehenge, look after the people attending and keep Solstice special. We are writing to you ahead of Summer Solstice this year to ask for your help in reminding the community of these changes, and to alert you to our updated security arrangements. The monument field is an alcohol-free zone. We are encouraging car sharing and the use of public transport. There is very limited parking and charges apply. As in previous years, heightened security measures will be in place at Summer Solstice. We are working closely with Wiltshire Police to ensure the safety of all visitors and, as a result, only small bags (30 x 25 x 15cm) will be allowed into the Monument Field and searches will be conducted. We are strongly advising visitors to only bring essential items with them and leave valuables at home. We would also like to take the opportunity to remind people that under 16s are only allowed into the monument field during summer solstice if accompanied by a responsible adult. Stonehenge is an ancient monument protected by law and also a World Heritage Site and as such drunken behaviour is not appropriate within or around the monument. We believe an alcohol-free Solstice makes it more enjoyable and peaceful for more people, including the increasing numbers of families and young people who attend. We received a lot of positive feedback last year about how peaceful, more family-oriented the occasion felt, and what a great atmosphere there was with no alcohol around. We would be grateful if you could remind any young people you feel this will impact upon. We are delighted that more young people want to come to experience the stone circle up close at Summer Solstice but we think that it is important that they understand the significance of the monument, are aware of the Conditions of Entry, and that their expectations are managed. Thank you very much for your help in getting this message out. We believe the changes introduced in recent years make Solstice more enjoyable and peaceful for the majority of people attending, including the increasing numbers of families and young people. For the Conditions of Entry and other useful information, please check the English Heritage website. Please see below minutes from the May Parish Council Meeting approved at the meeting held in June 2018. The June minutes will be published next month. If you have any comments regarding these minutes please contact the Parish Council directly. The Parish Council contact details are published in the Tilshead Newsletter. The next meeting is on Tuesday 17th July at 7 pm in the Village Hall, and everyone is welcome to attend. There will not be a meeting in August, being the summer break. However, if a planning application is received, or if it is necessary to call a meeting, then one will be called. It was lovely to have such a good turn out for the first Tilshead Knit Knatters last week. There was a nice mix of familiar and not so familiar faces and an assortment of different and inspiring projects – beading, patchworking, cross-stitching and, of course, knitting. We had a bit of a natter and there were also some really quiet moments where you could sense the intense concentration. Do you have a craft project that you can’t get started on? Perhaps you’re stuck and need a little bit of help? Would you like to meet other people living in the Village? Come and join some like-minded people at Tilshead Knit Natters on the first Thursday of every month and bring your craft project with you. Initially the meetings will be at TARA on Back Lane between 19:30 and 21:30 hours. 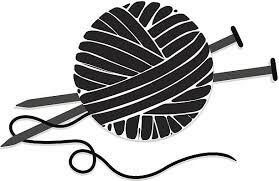 If you would like to join in please contact us here beforehand or email knitnatters@tilsheadvillage.com so we can have a rough idea of numbers in advance. Our next meeting is Thursday, 5th July 2018. A group of people have suggested running a book club within the village. For anyone interested in joining a book club would they please email me so that we have a rough idea of numbers, and their reading interests at trudiejames@btinternet.com. This would help in choosing the first book. Please let me know by the end of July. It is hoped to have the first book club in September. Please see below Notice of the period for the exercise of public rights and other information required by Regulation 15(2), Accounts and Audit Regulations 2015. For more information click here to access the National Audit Office’s document ‘Local authority accounts: A guide to your rights’.